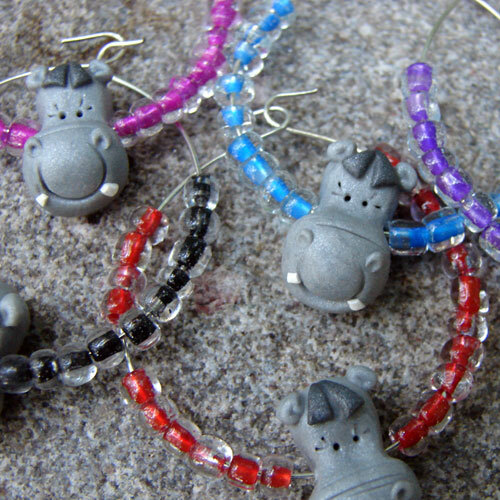 Hand made polymer clay hippo head beads adorn these wine glass charms. Paired with colorful beads so guests can identify their own beverage, these wine glass charms make wonderful hostess gifts or thoughtful stocking stuffers. We’ve only got one set of these so buy them quickly before someone else does!